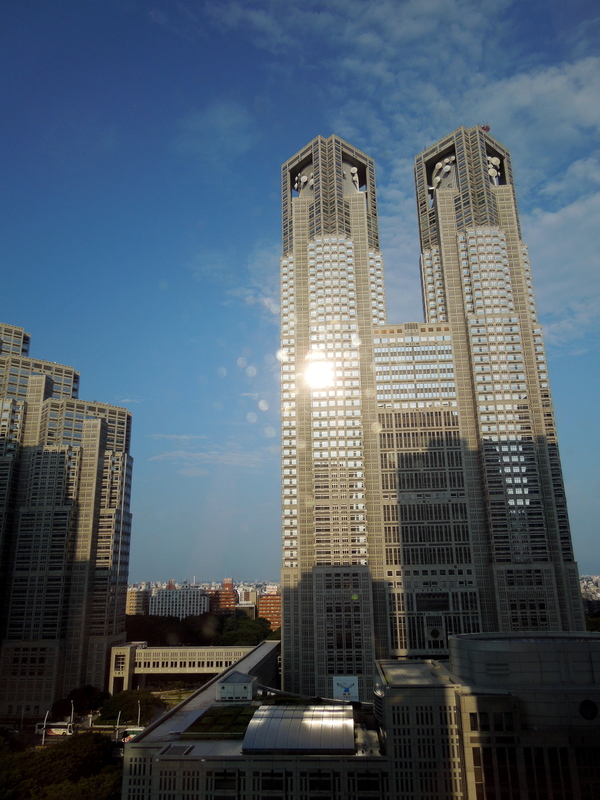 I arrived at the Keio Plaza Hotel in Tokyo last night at 8:30 PM. After a 14 hour flight it felt good to unload all my luggage, and collapse on my bed. The entire arrival process of going through customs and immigration was seamless, and once I was cleared, there were plenty of JET volunteers to direct me to my luggage claim and bus to the hotel. After an hour and a half bus ride from Narita Airport, I was finally at the hotel. This is the largest hotel I have ever been in, spanning across two large towers. 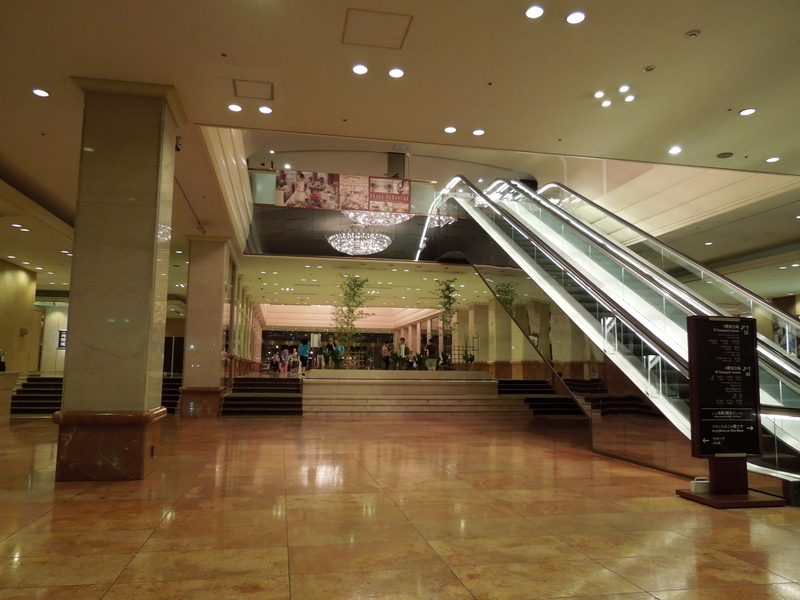 The Keio Plaza has a very beautiful lobby, as you can see in the picture. There are about 750 JETs staying here, all from over the globe. I have already met some from South Africa and Australia. It’s pretty neat to be apart of a program that stretches across the world. For my first meal in Japan, my two roommates and I found a soba restaurant (thick noodles) down the street in Shinjuku. Even though the ATM at the Lawson conbini (convenient store) didn’t work, I still had about 600 yen in coins from my previous trip to Japan 2 years ago. This was plenty for the soba. Since every post office in Japan has an ATM, I will make a quick trip at lunch to fatten my wallet. Right now I need to go to the first day of Tokyo Orientation. The next two days will be full of speakers and workshops here in Tokyo. But on Wednesday I will depart for my apartment in Awaji. Overall, my arrival in Japan has been smooth and I look forward to Tokyo Orientation. This entry was posted in JET Program and tagged JET Program, Keio Plaza, Shinjuku, Soba, Tokyo Orientation. Bookmark the permalink.